Artesonraju SE-face (D+, 1000m.) 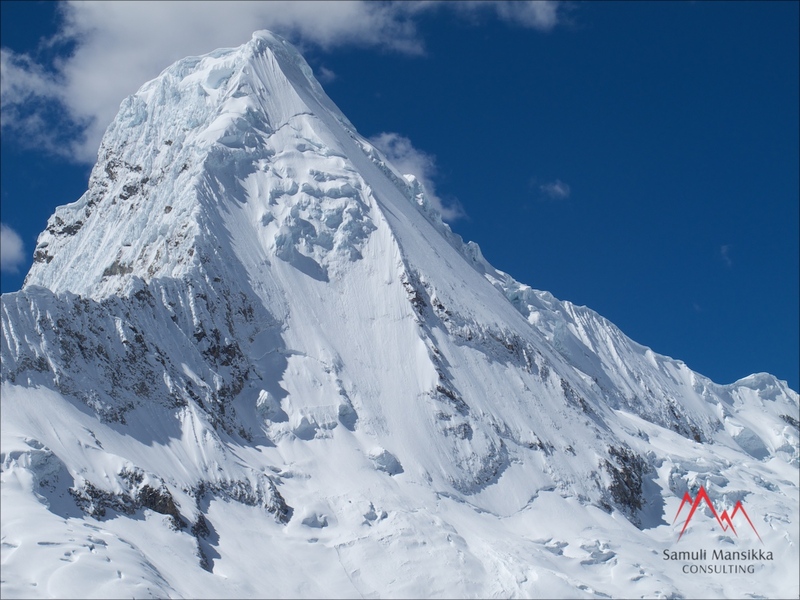 is a Cordillera Blanca classic! Phil and I climbed it on July 13th upon our several days visit to Paron Valley. Very easy getting to the route! From Paron Valley parking we trekked to the other end of the lake where we set up our basecamp. I’ve heard of some theft at Cordillera Blanca camps so many teams hire a guardian. Our’s was taken care of by our amazing friend/cook Juvencio. From basecamp it’s a short day to highcamp at approx 5000m. Some crevasses after the flat dry part so better rope up. From highcamp we set off at 3am. Some very big crevasses on the way to the base of the face. Once on the face the climbing is very straightforward on snow and ice at an angle of 45-55. We got ourselves amazing snow-conditions so got to the top after 8am. Thanks to previous climbers there was plenty of solid V-threads to rappel on. Got down very fast and arrived at our basecamp already at after 4pm. A very enjoyable climb if you get good conditions! Take with you: Ice-screws and snow-bars, accessory cord and abalakov-hook for V-threads, two 60m ropes.